On the high plains of Colorado, an emerging leader is driving wild mustangs and the policies that manage them. 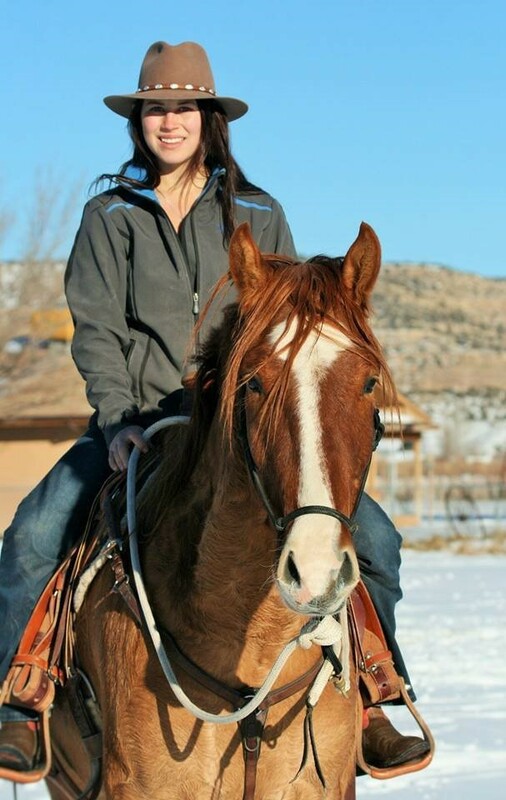 Stephanie Linsley, 2011 Boettcher Scholar, is the head trainer and equine manager at the Great Escape Mustang Sanctuary (GEMS), a Colorado nonprofit that provides training, adoption and advocacy for wild mustangs and burros. After graduating with a degree in psychology from Colorado State University, Stephanie joined GEMS full-time in 2016. Since then, Stephanie has lived and worked on a 1,000-acre ranch in the eastern Colorado town of Deer Trail, managing up to 80 horses at a time and facilitating on-range operations with a lean staff of three. Last year, the organization helped more than 200 wild horses find homes instead of being sent to holding facilities where they are often destroyed or sold for slaughter. Stephanie’s all-in passion for wild horses and understanding animal behavior has enabled GEMS to enact positive change beyond the boundaries of the ranch. The organization’s philosophy of cooperating with the Bureau of Land Management and other key stakeholders has given GEMS a respected voice in wild horse management, an oft-contentious issue. Last winter, the Bureau of Land Management wanted to conduct a helicopter round-up of the Sand Wash Basin mustang herd near the northwestern Colorado town of Craig. Helicopter round-ups are a quick but often traumatic method which can lead to injury or even death. GEMS successfully lobbied to conduct smaller scale bait-trapping and field sterilization with the assistance of their on-range support team. Forty-three mustangs in total were rounded up, and all have landed in safe homes or found sanctuary at GEMS. In October, Stephanie was invited to present to the National Wild Horse and Burro Advisory Board about these efforts. With more than 100,000 wild horses across the country, Stephanie acknowledges that GEMS can’t tackle the whole issue. However, as the only organization in the country that provides on-range and off-range support, she believes GEMS and its cooperative approach can serve as a successful model for other states.